The International’s Communications Department is gearing up for another successful year of working with locals to communicate the value of belonging to our union family. The department is using key value campaign programs as a platform for strengthening and improving the ability of locals to engage members and potential members regarding the benefits that come with belonging to the UFCW, as well as what our union does to feed the hungry, fight cancer and improve and strengthen communities across the country. • We Make the Holidays Happen in November, which pays tribute to our members in UFCW-represented industries during the holiday season. All locals are encouraged to work with the International’s Communications Department to make these initiatives a resounding success. 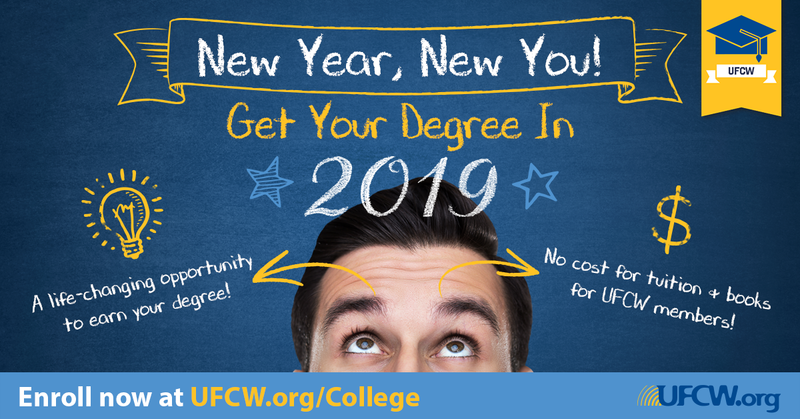 “The International provides many services and tools that are available for locals to use,” said Mike Thompson, who is the communications director and union representative at UFCW Local 152. “One of the best tools that locals should use is the content and resources that the International’s Communication Department provides for all UFCW locals. The Communications Department will also work with locals to place op-eds and letters to the editor around these key initiatives in local media outlets. If your local has any suggestions regarding materials for these initiatives, please contact Erin Ward at eward@ufcw.org.